As the mom of two little boys, I never get to buy cute little bows and accessories for their hair. Thanks to this, I love to get them for myself. Since I have really thick hair, I often have trouble finding products that work for me. I can not use the hard plastic headbands because they give me a headache. I love fabric ones, but sometimes they are too big and fall off, and other times not big enough. Due to this, I am always looking for new and exciting things to try. Thanks to The Family Review Network, I recently received some items from an exciting company called LemonHead Apparel LLC. Our Hairclips are like no other, they are designed to stay put – even on super fine hair. We don’t use magnets/hot glue and NOTHING squeezed out of a bottle like silicone or rubber. Our premium patented GRIPSTRIP is made of a unique reliable material that is identical in every clip – that means you are getting the same feature every single time!!! We have also patented several processes to make the Clipeez and attach embelishments reliably to our Clipeez that is so secure it impresses every time. Our competitors have bought our clips to take them appart, they’re that good! We have a wide range of embelishments from flowers to bows and butterflies. Take a look, they’re great for any age and to accessorize our Bandeez Headbands. The Clipeez that I received is absolultely gorgeous. The proud new owner is goign to be my niece. 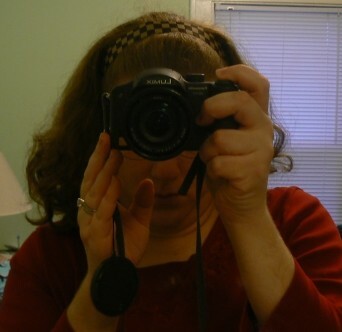 I can not wait to capture a photo of her wearing the cute Clipeez in her hair. Our Bandeez Headbands were originaly designed for our two-year-old. She kept losing her headband because it slipped off. After losing so many headbands and having to readjust them all the time we decided to experiment on our own and came up with Bandeez. Our headbands are fully adjustable, they fit infants to moms on-the-go. They’re designed to not slip or slide on heads of any size. Tweens & Teens love our headbands because we have so many different patterns and they can create their own styles. We hope you enjoy them as much as we do!! I will definitely be buying some more Bandeez for myself. I will probably buy the thickest band size and some of the fun and wild colors. 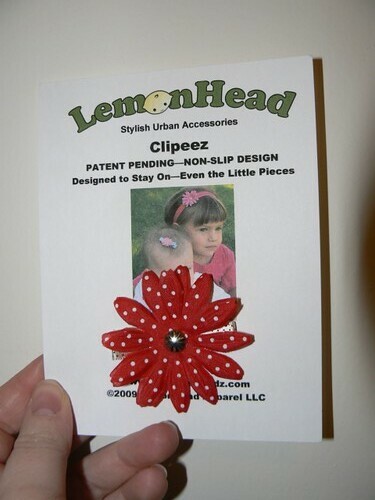 I know that I will also purchase Clipeez when I need some hair accessories for little girl gifts. As a parent, it is great to know that both items are sturdy and made of safe materials. They look really cute! I have a little girl who just can not keep her hair things in her hair. Maybe I should take a look at this website. I might find something she will keep in her hair.